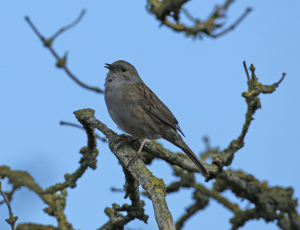 Observation - Dunnock, in Full Song - UK and Ireland. Description: And very tuneful, too. Another bird was singing within fifty yards, and this one eventually went off in that direction. And very tuneful, too. Another bird was singing within fifty yards, and this one eventually went off in that direction.